We are inquisitive, intuitive, informative, reliable, and fun. Our goal is simple: Helping you connect with our great, big, beautiful world in new and meaningful ways. At Off the Beaten Path, our mission—changing people's lives through exceptional travel—compels us to make a positive impact in the lives of our clients, our communities, and ourselves. Travel is MAGIC and we hold the wand. Dazzle and delight. Be tireless in the search for places and experiences that will take a traveler's breath away. PASSION for travel is the reason why we're here. Let that blast through loud and clear—in your thoughts, your words, and most importantly, your actions. ACTION is where it happens. Take personal pride in diligent follow-through, timely execution, and expert delivery—our hallmarks of excellence. CONNECTION enlivens us as human beings and makes our work meaningful. Truly connect with your clients and peers, our providers and industry, and of course, the world around us, near and far. Know what is TRUE for Off the Beaten Path, find what is true for you, and make possible what is true for others. We've been partnering with travelers for over 30 years and from the beginning, it's always been about being a true friend to our travelers. We feel there are a few characteristics that we have in abundance that make us a great friend to you, as you go about exploring our world. If our values align with yours, we are probably a great fit - and we can't wait to get started! The emphasis is on yours. Custom Journeys are designed for you, with accommodations reflecting your preferences (not our memberships or affiliations), activities hand-picked-to suit your interests, and a pace that suits you. Small Group Journeys are small and flexible, and we’ll make sure that the one you choose is a great fit. Never pressure – sincerely your advocate. Our travel advisors are the best partners in travel that you will find anywhere. They never try to pull the wool over your eyes, or steer you in a direction that you wouldn’t want to go. They honor and answer your questions, and pour all their energy into making your trip exactly as you say you would like it. Your advocates. Beholden to no one but you. Key word – Small. 16 travelers, with an average of 8 or 10. The benefits? A guide to client ratio that’s as good as it gets, a dinner-party-sized dinner table (at hand-picked, local restaurants), excellent flexibility (choose your preferred trail, kayak versus snorkel, stay out a little longer), travel in comfy vans (not a bus), and guaranteed window seats for all! This ain’t their first rodeo, and we mean that most sincerely. Count on the region’s best. Experienced, unflappable, fun, smart, intuitive, sensitive, approachable, capable – excellent company. They are so much more than drivers and bag carriers. They are time-tested. They’re the antitheses of know-it-alls, but they pretty much do know it all. Our partnerships make us that much stronger and allow us to offer even greater value to you, our travelers. Your extraordinary experience is our greatest reward. Adventurous travel has always been important as a path to understanding our world and nourishing our spirits. At the same time, now more than ever, it’s vitally important to consider just how we go about all that adventuring. That’s why everything we do at Off the Beaten Path is guided by our commitment to environmentally and socially responsible travel. Foremost, this means working in a respectful, ecologically sensitive manner with local communities from Bettles, Alaska, to Koror, Palau. Because of this, you can trust that wherever you go as an OBP traveler you will be welcomed as a beneficial, balanced part of the local culture, nature, and economy. 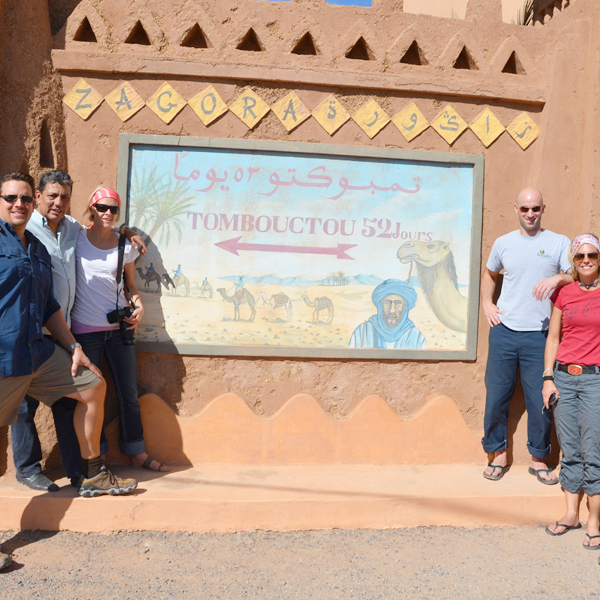 The truth is, travelers themselves are an essential component of responsible travel. Modern adventurers are ambassadors and witnesses, friends and allies, students and contributors. 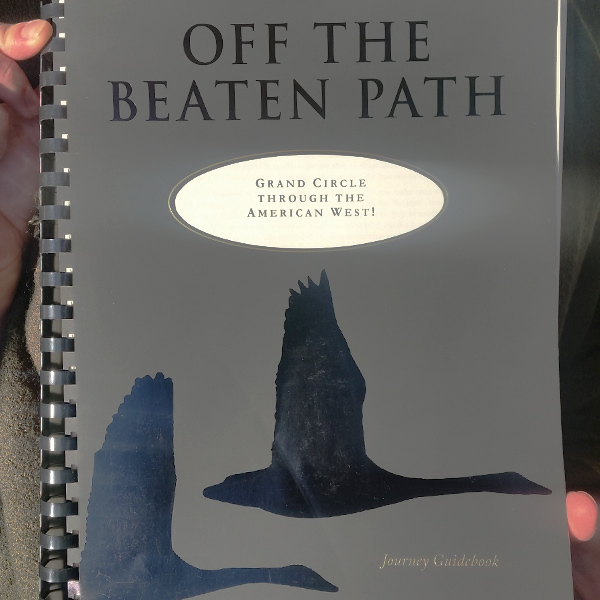 Off the Beaten Path recognizes the importance of person-to-person connections and helps you travel with your eyes, mind, and heart wide open. When we opened our doors over thirty years ago, "responsible travel" was a new idea in the travel industry. It’s deeply satisfying to see how the concept has both taken root and taken wing. Every day we are inspired anew by travelers who cherish the natural world, are motivated toward genuine discovery, and who explore not to be merely entertained, but to be enlightened and energized. This confirms our hope and belief that future generations will inherit a healthy and diverse planet—along with a hearty hunger for adventure. See the world, love the world, off the beaten path. OBP’s guides are the best in the business, from historians to naturalists! "Let us be your friends in the West"
In 1986, Bill and Pam Bryan founded Off the Beaten Path. With their love for the Rocky Mountains, and a true desire to share the best of it with their friends and family, they created the first custom travel company, designing every trip to the Northern Rockies from scratch. In a tiny advertisement in the New Yorker, Bill and Pam claimed to be the friends you wished you had in the Rockies – and that is exactly what they became. Then, their new friends told their friends, who told their friends, and in authentic style, Off the Beaten Path was on its way! In 1990, Off the Beaten Path made its next big move, expanding into new territories with similar qualities as the Rockies – interesting, strikingly beautiful, steeped in culture, and an adventurer’s wonderland. The Desert Southwest, Canadian Rockies, Pacific Northwest, California, and Alaska came into the fold and OBP increased the opportunities for localized experiences across the western half of North America. Just as it did with the Northern Rockies, scouting trips, relationship development, and insider tip collection followed. Ready. Set. Go! Of course! Take what we know is the best-in-the-West, and offer it up to small group of travelers led by local guides. In 1992, Off the Beaten Path offered a line-up of adventures, each small, with local, experienced guides at the helm, and a distinct focus – wildlife, hiking, national parks, and culture. Today, we offer 30 trips, taking travelers to places as far-ranging as Peru, Alaska, Samoa, Yellowstone, Acadia, Hawaii, the Grand Canyon, and beyond! A region of South America, very dear to Bill and Pam Bryan’s hearts. Why not? With everything about Patagonia right in line with our values, in 1999, we hopped, skipped, and jumped – and landed in southern Chile and Argentina. Today, we offer Custom Journeys, Small Group Adventures, and Fly Fishing Expeditions to Patagonia. When Bill Bryan and Cory Lawrence worked together on a project in Wyoming, not only did they enjoy each other’s company, but they found their interests and skills to be very complementary. Cory, a native of Buffalo, Wyoming with a CPA from Notre Dame and a desire to be part of a business that he felt passionately about – and which would get him back to the Rockies – agreed to take the CEO reins. Over the years, the company has grown and prospered, and continues to take on its own exciting adventures! Peru, Ecuador, Costa Rica, Belize, Samoa, Hawaii, New Zealand, Australia, and, dagnabbit, Easter Island. Here we come! More beauty, more adventure, more culture, more turquoise-blue waters, more islands –we’ll take it! With a relationship dating back for almost two decades, in 2016, NPCA and OBP finally decided to take it to the next level. Together with national park protectors, National Parks Conservation Association, Off the Beaten Path offers insider access and an exquisitely crafted experience that captures the nature, culture, and character of our parklands, from American Samoa to Yellowstone. We may not be around the world quite yet, but we are always finding new places that inspire us, which leads us on our way. Most recently, we’ve got Morocco under our belts, so there’s the beginning of Africa. We’ve begun planning trips to Scotland, so British Isles, here we come! You can count on us to keep you posted! Off the Beaten Path is thrilled to be the official travel partner of the National Parks Conservation Association (NPCA), the leading independent, nonpartisan voice working to protect America’s favorite places since 1919. Between what NPCA knows about national parks, and what OBP knows about travel, you get insider access and an exquisitely crafted experience that captures the nature, culture, and character of our parklands, from American Samoa to Yellowstone. As we continue to celebrate the 100th year of our National Park Service, this partnership is particularly meaningful, originating with and solidified by our mutual love of national parks. Together, we believe that we can have a lasting, positive impact on our national parks. Off the Beaten Path is proud to be a Founding Member of the Adventure Collection, a partnership of nine of the world’s most trusted and experienced adventure travel companies. Collectively we span the globe, offering distinctive journeys on seven continents and in over 70 countries. Our partnership is based on deep friendship and mutual respect. As such, we can recommend, without hesitation any of our Adventure Collection partner companies if you’re looking for an adventure or destination that we don’t currently offer. For the best in small ship expeditions, African safaris, trekking in Asia, private air travel in India, and plenty more, we encourage you to check out the Adventure Collection website. Kurt traveled much of the United States before finally settling in Montana in 1970. 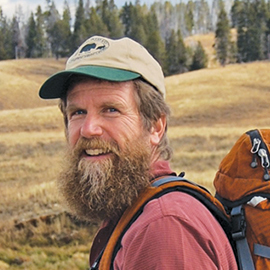 He attended Montana State University in 1982, where he began guiding recreational and educational outings for camping, backpacking, river running, and Nordic skiing. After graduating with a degree in photography, Kurt turned to guiding and writing full-time. 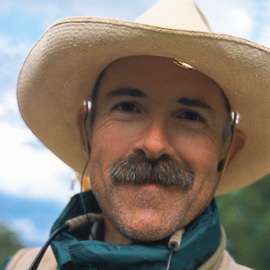 Over the years, he has guided many adventures for Off the Beaten Path, National Parks Conservation Association, National Wildlife Federation, Audubon, Sierra Club, Elderhostel, National Geographic Expeditions, Smithsonian and numerous private and public organizations. His writings appeared in a variety of local and national publications before applying all his efforts to guiding in 1999. Kurt’s interpretive guiding expertise covers a vast and diverse area ranging from Waterton National Park in the Northern Rockies to Yosemite and Sequoia National Parks in California, and from Olympic National Park on the Pacific Coast, to Mesa Verde and Arches in the Desert Southwest. He is a gifted naturalist, interpreter, and photographer who never tires of sharing his love of natural and cultural history. Kurt’s consummate outdoor skills, combined with a gift for storytelling and a great sense of humor. make his journeys unforgettable. Kurt lives in Dillon, Montana, with his wife Eve and Cadbury the wonder bunny. Eve grew up exploring the mountains and deserts of southern Idaho where her favorite pastimes were hiking, fishing, skiing, collecting insects and climbing the steep walls of the Snake River Canyon near the farm where she lived. She moved to Montana in 1980 and attended Montana State University in Bozeman, graduating with degrees in environmental science and geography. She has spent most of the last 21 years in the field as a soil scientist and resource specialist, mapping the soils, landforms, and plant communities of some of the most beautiful and remote wild lands in the West. When Eve’s not tramping the mountains, shovel in hand, she enjoys hiking, backpacking, skiing and photography. Eve lives in Dillon, Montana with her husband Kurt, who is a full time naturalist guide, and a bunny named Cadbury. Since completing a M.S. degree in Wildlife Science at Oregon State University in 1983, Steve has pursued a career that involves both intensive study of wildlife, and efforts to help others expand their understanding and appreciation of wild animals and wild places. 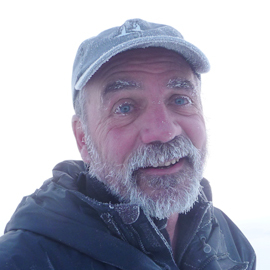 Steve’s involvement in wildlife research projects has included studies of grizzly bears and elk in the Northern Rockies, tundra birds, wolves, bears, muskoxen, and caribou on the Arctic National Wildlife Refuge, and brown bears on Kodiak Island. Steve began working as a naturalist guide in 1987, and over the course of years has led countless trips through many of the West’s national parks. In addition to leading tours, he has instructed for the Yosemite Institute, Audubon Society, and the Wildlands Studies Program of San Francisco State University. Steve and his wife, Betsy Robinson, co-founded and run a non-profit organization, Wild Things Unlimited, which focuses on studies of rare forest carnivores such as wolverine, lynx, and fisher, managing wildlife surveys related to the Yellowstone to Yukon Conservation Initiative, and conducting educational programs related to wildlife. Steve’s favorite element of guiding is people’s reactions to their having made a new discovery about nature, be it eating a glacier lily, observing a wild animal they have longed to see, watching a grizzly bear sow and cubs frolicking on a hillside, or simply being overwhelmed by the beauty of a place. 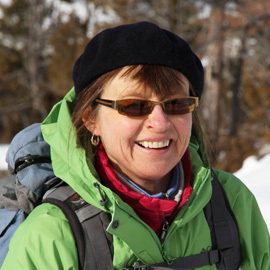 Betsy Robinson is a wildlife biologist, naturalist guide and teacher based in Bozeman, Montana. Educated at Temple and Cornell Universities, she moved west to live in the Rocky Mountains near Yellowstone National Park. 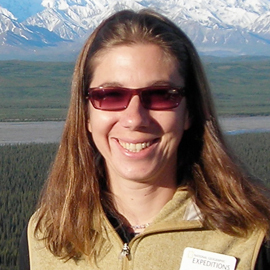 Betsy’s focus has been on wildlife, and her work has included wolverine and lynx studies in the northern Rocky Mountains, grizzly bear research on Kodiak Island and in Glacier National Park, bird surveys in Prince William Sound, and assisting with the gray wolf recovery project in Yellowstone National Park. She has taught for the National Audubon Society and San Francisco State University’s Wildland Studies program. Betsy’s lifelong love affair with America’s national parks has resulted in countless visits to these pristine, powerful places. Her travels have taken her from Alaska through the Pacific Northwest to California, and from the Northern Rockies to the Desert Southwest. She has hiked, camped, backpacked, and explored, getting to know each park intimately, and she enjoys nothing more than sharing her enthusiasm for the national parks’ natural wonders with others. Betsy loves guiding not only because she gets to share her favorite places with others, but also because she gets to see things through new eyes and remember all over again what makes our protected lands so special. Betsy is executive director of a non-profit wildlife research organization, Wild Things Unlimited, which she co-founded in 1997 with her husband, Steve Gehman. Betsy lives in Bozeman with her husband and their dogs, and enjoys hiking, birding, gardening, and landscaping. When indoors, she enjoys quilting, good mysteries, and great food! 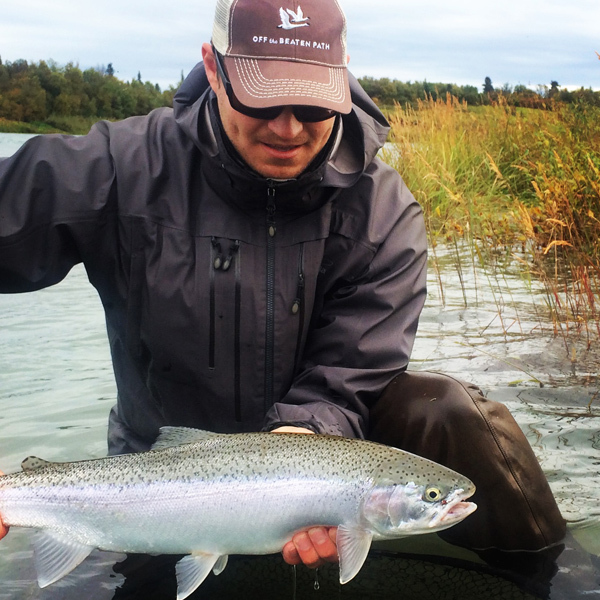 Nathanael Dodge combines his outdoor interests, education, and hands-on experience to provide you with an exciting and well-rounded outing. Nathanael’s style of teaching is experiential, and in the field he excels at bringing geologic, natural, human, and cultural history to life. Nathanael graduated from Concordia University in St. Paul, Minnesota with a B.A. in Social Science. In addition, he is a Wilderness First Responder, with lots of knowledge about backcountry safety and survival, and spent many years working as a crisis prevention instructor. 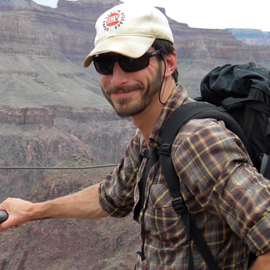 Over the years, Nathanael has guided trips to many of the West’s finest national parks and destinations – a list too long to mention – in the Southwest, Dakotas, Rocky Mountains, and Pacific Northwest. You’ll be fascinated as he talks it up about everything from dog sledding to Native American history, wildlife behavior to the inner-workings of a geyser, cactus to conifers, and bats to bison. Enjoy your time with Nathanael! Raised and educated in the Finger Lakes region of New York, Leslie now lives in Big Sky, Montana, surrounded by the wild places that she loves. Working for the National Park Service in Yellowstone and Glacier National Parks in the areas of research and education for ten years provided a wonderful foundation for her career as a teacher and guide. Since the early 1990s, Leslie has worked for a variety of travel companies and non-profit organizations, teaching classes and leading trips in national parks and wild areas throughout the American West. Farther afield, she has led trips to Nepal, Bhutan, Tanzania, Botswana, Ecuador, and Mexico. Leslie also runs a non-profit with a mission to keep kids connected to the outdoors though scholarship opportunities for outdoor learning experiences. Leslie’s passion for the wilderness inspired her to take several of her own immersive trips, including a three-week canoe trip in the Arctic Refuge, and several long backpacking journeys in Arizona, Canada, California and Montana. Leslie’s ultimate reward is helping to instill in others a love of nature and wild places and the desire to preserve these wild places and the quality of life that they provide to us all. 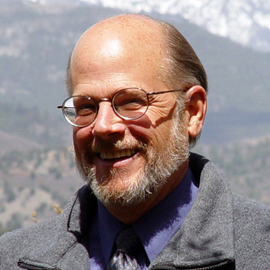 John is former dean of the School of Natural and Behavioral Sciences and Professor of Biology at Fort Lewis College in Durango, Colorado. John is a long time resident of the Southwest and has a keen interest in the biology and geology of the Colorado Plateau, as well as its human history and cultures. John’s photography has been published in several books, including Canyon Spirits: Beauty and Power in the Ancestral Puebloan World, and San Juan Bonanza: Western Colorado’s Mining Legacy. His continuing photographic interests include the flora and fauna of the high desert, archeoastronomy, rock art, and the architecture of remote historic and prehistoric sites. 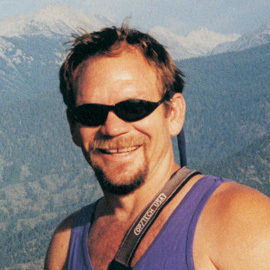 John is an avid hiker, backpacker, and river runner who loves to share these passions with fellow travelers. Most Recently, John has left Durango and calls Santa Fe, New Mexico, home. Patty became enamored with the West on a cross country bicycle tour, and moved to Montana in 1988. 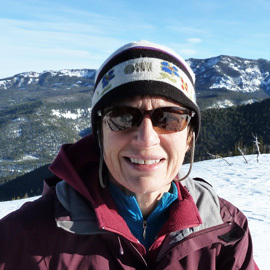 After earning her Geography degree at Montana State University, Patty developed a special interest in natural history and wildlife observation while exploring the Greater Yellowstone Ecosystem on foot, bicycle and skis—and spending too much time with ecologist types like her husband, Jamie. She is a paramedic and makes her home in Bozeman. When she has free time, you’ll find Patty at the end of a climbing rope, winding on trails on her mountain bike, hiking, or taking all the beauty in with her camera. A deep love of wildlife and ecological relationships has inspired Jamie Walton’s development as a natural history field guide. 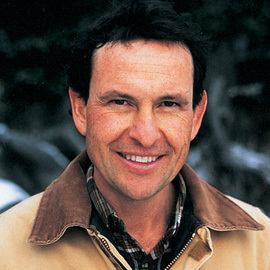 Formally educated at the University of Wyoming, where he studied Biology and Education, Jamie was an instructor and the ranch manager at the Audubon Ecology Workshop in the Rockies for a decade, and followed that as a manager for the Jackson, Wyoming-based Wildlife Expeditions, a natural history tour program for Grand Teton and Yellowstone national parks. Jamie has since migrated to Bozeman, Montana where he lives with his wife, Patty. In addition to leading tours for conservation and education groups, including Smithsonian Natural Resource Defense Council, National Audubon Society, National Parks Conservation Association, and Greater Yellowstone Coalition, Jamie does wildlife research for the non-profit organizations Wild Things Unlimited, The Wolf Project, and Adventurers and Scientists for Conservation as well as working full time as a paramedic. And, in addition to being a wonderful guide, Jamie is a fine outdoorsman, bicyclist, and skier. 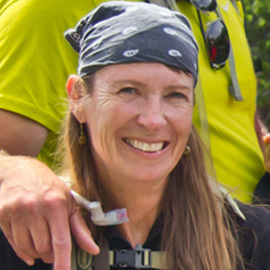 Melissa is a dynamic and enthusiastic professional naturalist/guide with over 26 years of experience leading backpacking, fly-fishing, rafting, hiking, natural history and cultural tours around the globe. She is also an accomplished photographer and enjoys helping guests capture exceptional images of nature and wildlife. So, whether exploring the arctic wilderness of eastern Greenland, the bamboo forests of central China, the nursery lagoons of Baja’s grey whales, or tramping around the wilds of the U.S. and Canada, you can be sure she has a smile on her face and is eager to share her knowledge and enthusiasm with you! Drew Thate is a man of many outdoor-world hats! He is an avid fisherman and birder, with an extensive knowledge of Central and North American natural history and vast wilderness guiding experience in North, Central and South America as well as Russia. He has a Bachelor’s Degree in Wildlife Ecology and Conservation, was a Park Ranger in Yellowstone National Park, a river guide in Costa Rica, as well as a tour leader of bird watching trips all over the world. Drew is a very capable and well organized fly fishing guide on the lakes, creeks and streams of Yellowstone National Park and on the Yellowstone River. Whether you’re with Drew for his naturalist, birding or fly fishing expertise, we are confident that you will enjoy your day very much! 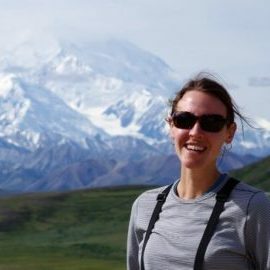 Jen Shapley has been guiding tours in Alaska for many years, sharing her knowledge and love of the “great land” with travelers from around the globe. A year-round resident of Alaska, Jen received a B.A. in German from the University of Pennsylvania, taught school in Anchorage, and has guided travelers in many ways, shapes, and forms—as tour bus driver, tour director, and tour guide. Jen provides a wonderful mix of facts, legends and humor. She is an avid hiker, berry picker, cross-country skier and kayaker with a vast knowledge of local flora and fauna. Best of all, her passion for Alaska is infectious. You will be provided with an intimate view of this wild, big country that will greatly enhance your experience. Fritz was born and raised in Switzerland. After high school, he engaged in an apprenticeship with a high-quality furniture maker, learning how to build customized hardwood furniture. Becoming a skilled craftsman himself, he decided to return to school to obtain a degree in Small Business Management in pursuit of his own woodworking business. After about ten years in the furniture making business, Fritz developed a yearning to explore different regions of the world. He traveled from Switzerland to North America, Mexico, Guatemala and Honduras, exploring ancient ruins, and learning interesting cultural aspects throughout the Americas. Seeking a wild adventure, he spent the winter of 1991 at the entrance of Denali National Park in Alaska. The wildness of Alaska became a part of him that winter and he has since lived in Alaska, working as a hiking and naturalist guide. He and his wife, Marianne, live near the entrance of Denali and operate Deneki Lakes Bed and Breakfast. Kirsten Schmitten brings extensive knowledge of the mountain parks, in depth training as an interpretive naturalist, and a passion for all things wild—in short, she is an eminently qualified guide and interpreter. Her studies leading to a B.S. in Resource Geography and Environmental Studies confirmed her childhood desire to share nature with others. Her professional career has included working actively as an interpreter for 25 years in addition to three years of overseeing the management and training of interpretive staff. In addition, Kirsten is an accomplished freelance journalist, entrepreneur, traveler, and snake handler. Her quiet strength, gentle humor and genuine respect for the environment instill respect and a sense of stewardship towards the wilderness. Kirsten runs her own interpretation company, All Things Wild, and looks forward to sharing her knowledge with you. Raised and educated in the Northeastern United States, Owen found his calling as a guide deep within the towering cliffs of Grand Canyon National Park, where he works as a backcountry guide. With well over 8,000 miles logged there, he has been certified by the U.S. National Park Service in Search & Rescue, and often leads operations. Owen is also certified as a Wilderness First Responder, and is versed in a range of survival techniques. Owen has traveled across the United States and to destinations around the world. With a love of the outdoors, Owen spends much of his free time hiking and climbing. He also loves reading, cooking, writing, playing guitar, and photography. Lynette’s love of the outdoors began at an early age with a semi-feral upbringing on her family’s dairy farm in Vermont. The mere fact that she was not often allowed inside helped to foster an intimate relationship with the wild world. She received her bachelor’s degree in ecology with a minor in wildlife biology from the University of Montana, and has been fortunate to follow her passions for observation and exploration ever since. Lynette is fascinated by the complex ecology of predator-prey relationships and worked for many years as a research biologist, studying carnivores such as wolves, coyotes, foxes, bears and pine marten throughout the western U.S. and Alaska. Lynette began leading educational adventure tours in 2008, drawing on her research experience to immerse travelers in the ecological and cultural spirit of an area. She makes her home on the Big Island of Hawaii, where she has taken up triathlons and the ukulele. 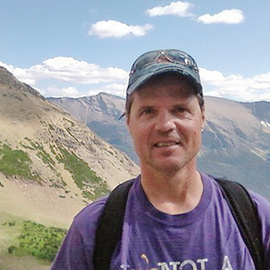 Drew Schlachter brings more than 20 years of guiding experience to Off the Beaten Path. Grand Canyon National Park has always held his heart, and he has hiked thousands of miles across Northern Arizona and the 4-Corners States. Drew has been fortunate to lead a variety of trips across much of America, from Alaska to the Desert Southwest, the Pacific States to the Rocky Mountains and beyond. 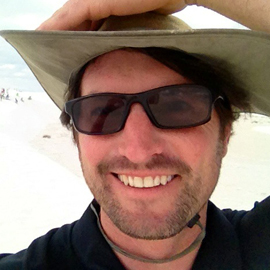 Drew has engaged in a variety of interesting professional experiences, including leading trail crews for the National Forest Service, film location scout, regional manager for tutoring programs on the Navajo Reservation, and a leader for student travel programs. He has also been an instructor for recreational therapy, wilderness therapy, challenge course, and numerous other educational programs. Drew graduated from Northern Arizona University with a Recreation Management degree, and lives in Flagstaff, Arizona. In his spare time, Drew enjoys traveling, outdoor sports, reading, photography, and visiting friends and family across the globe. His passion for outdoor education and preservation shines through on his trips, and he looks forward to showcasing the amazing locations that you will visit with Off the Beaten Path. With a Degree in Recreation and Park Administration, Kate worked at the Minnesota Zoo for eight years as a naturalist and then at the Audubon Center for 16 years as an environmental educator, tour guide and administrator. At the Audubon Center she coordinated all the Road Scholar Elderhostel programs. She has co-led ecology tours in North, Central and South America for National Audubon Society. In the U.S. she has been a co-leader on numerous trips to the Badlands and Black Hills of South Dakota, Lake Superior, Isle Royale, Grand Canyon Bryce and Zion, and to Yellowstone National Park for National Audubon Society and the Audubon Center of the North Woods. With her husband Mike Link, she has written over 20 books covering topics from natural history to grandparenting. In 2010, she and Mike walked 1555 miles around the shoreline of Lake Superior. They continue to seek ways to share their enthusiasm for adventure and nature. When not exploring the world at large, they live on 20 acres of beauty in Willow River, MN. Greg’s second home in southeast Arizona has allowed him to explore and hike many of the national park trails in Utah, Texas, Arizona, and New Mexico. He has also conducted years of avian research as a Master Bird Bander in the area. Greg’s career as park ecologist and superintendent, and his research background, can provide you with a unique opportunity to learn about the wild resources of the America Southwest. You will find Greg’s tours informative, thought-provoking and down-to-earth and he will leave you with an understanding on how the wildlife in this region has been able to adapt to this often harsh and arid climate. Having lived in the Pacific Northwest and with his particular interest in nature, Greg has an intimate knowledge of the resources and back roads that lead to the special places of the area. His background as an ecologist and State Park Superintendent allow him to share insights on management of the wild resources we all want to see thriving. An expedition with Greg will expose you to the habits of birds and wildlife of the area, while learning how they flourish and interact in their natural environment. Greg will also provide you with insight into specific adaptations of different avian species based on his many years of work with birds as a Master Bird Bander. Greg loves working with people and finds much joy in guiding. He is also passionate about helping travelers enjoy a positive, enthralling travel experience. Greg’s own travels have taken him kayaking through much of the Sea of Cortez and hiking a good portion of both, the western United States and western South America. Jack is an energetic and enthusiastic naturalist who loves getting out into the great outdoors. He spent much of his career as an independent software and database consultant, but always made a point of carving out chunks of time to immerse himself in the natural world. He has since “retired” from the digital world, and now spends spring and fall in the mountains of southwest Virginia, returning to western Montana (his first love) for the wonderful summers and amazing winters. Jack has a variety of experience studying mammals and guiding people. He is a graduate of the NOLS Outdoor Educator course and worked at Big Sky’s Lone Mountain Ranch as a naturalist guide, taking guests out on guided ski and snowshoe trips in and around Big Sky and Yellowstone National Park. He has worked with youth in backcountry settings in Utah and Colorado, managed citizen scientist groups in the field for coyote and grizzly bear studies in the Yellowstone area, and partook in wolverine studies in Glacier National Park. Jack’s positive nature, commitment to whatever he’s doing, and enthusiasm is downright contagious. Jack is married and loves to get outdoors with his wife, whether it’s a day kayaking on the New River or a week backpacking somewhere in the Rockies. Growing up in the Salt Lake Valley, David learned to appreciate the surrounding mountains and nearby desert at a young age. Fast forward to 2006—after studying zoology at Weber State University, he eventually ended up West Yellowstone to do some work on a family property. With a familiar affinity for West Yellowstone, and sights set on being a guide, David decided to stay. David’s early guiding trips took him to Guatemala and to Peru, where he led a private trip to Machu Picchu. 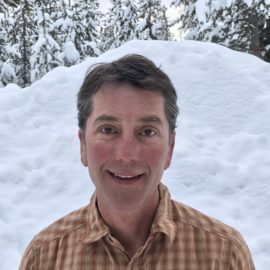 Whether it’s hiking, biking, kayaking, and wildlife viewing in summer, or skiing or driving Yellowstone snow coaches in winter, David enjoys sharing time in the great outdoors and his knowledge about the wonderful area that he calls home. Occasionally accused of being overly enthusiastic and animated, David’s love for nature and our country’s national parks comes through. He feels lucky to live where he does and to have a girlfriend who shares his passion for nature. Hobie Hare lives in Missoula, Montana, which serves as base camp for his photography, writing, conservation, and adventure-minded pursuits. Hobie worked as an interpretive ranger in Yellowstone National Park ranger for eight seasons, including one winter spent in the heart of the park at Fishing Bridge, which he describes as “magical.” Hobie also spent six seasons as an instructor and naturalist guide with the Yellowstone Association Institute. Hobie enjoys sharing his knowledge of, and passion for, the world’s first national park with people of all ages and backgrounds. Before becoming a park ranger, he taught English as a Second Language and first year seminar courses at Montana State University in Bozeman. He has also lived and worked in Costa Rica, Thailand, Japan, Venezuela, and Australia. Mike Link was the executive director of the Audubon Center of the North Woods from 1971 – 2009. 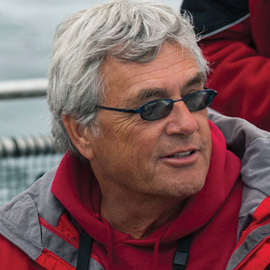 Over the years, Mike has led college courses and guided trips for Hamline University, Northland College, National Audubon Society, and Off the Beaten Path, which has taken him to places as diverse as the Desert Southwest, Rocky Mountains, Trinidad, Lake Superior, Isle Royale, Black Hills, Badlands, Central America, and South America. Mike has also been a lecturer and “riverlorian” for the Paddlewheel Queen of the Mississippi on the Mississippi River. Mike serves on the Minnesota Coastal Management Council and is a member of the BiNational Forum. He is a Fellow of the National Association of Interpretation and received a Lifetime Achievement Award from the Minnesota Association of Environmental Education. 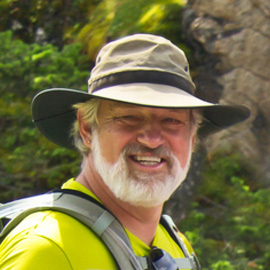 Mike’s passion for the great outdoors has taken him hiking in all 50 states and on many adventures with his wife, Kate Crowley, including a 2010 adventure when Mike and Kate became the first couple to walk around Lake Superior. One of Mike’s greatest joys is his five grandchildren, with whom he loves exploring nature. These adventures and grandchildren have inspired 27 books. We are certain that you will enjoy your time with Mike, a very knowledgeable, experienced, and personable guide.